White Label's Beautifying Leg Oil is a carefully formulated treatment made from natural ingredients to help you look after your skin in targeted areas. It effectively boosts circulation to bring relief from day long tiredness or swelling. This subtly scented serum firms and strengthens your skin on the thigh and calf areas of your legs. It also deals with uncomfortable dryness on your shins. To use, simply apply a small amount into the palms of your hands and rub on to the legs using circular motions, starting from the ankle area. 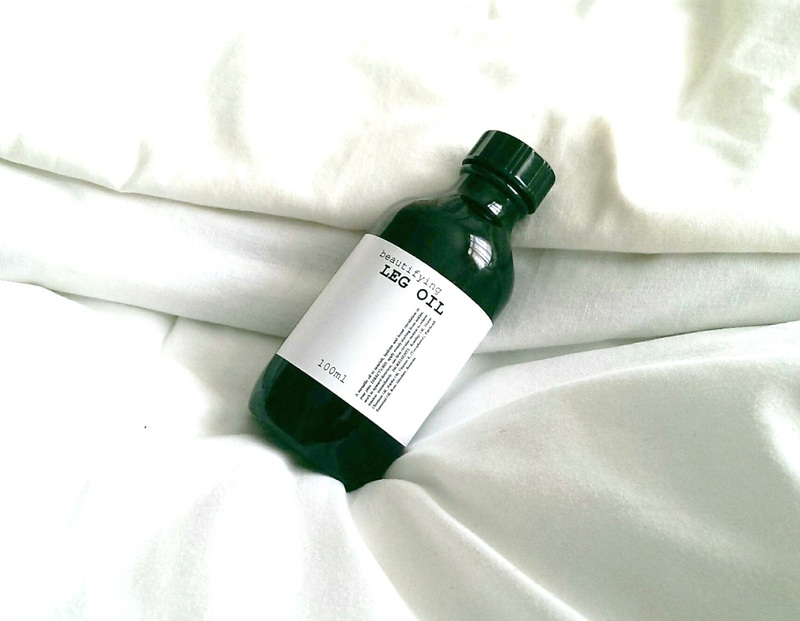 The effects of this natural oil should be evident after only ten minutes. This oil is designed to tone, tighten and minimise common skin conditions such as cellulite and wrinkles. Ingredients: Rosehip Oil, Horse Chestnut Oil, Jojoba Oil, Vitamin E, Essential Oils of Patchouli, Rose Absolute, Benzoin. This formula comes in a generous 100ml bottle, but remember, a little goes a long way with this oil. 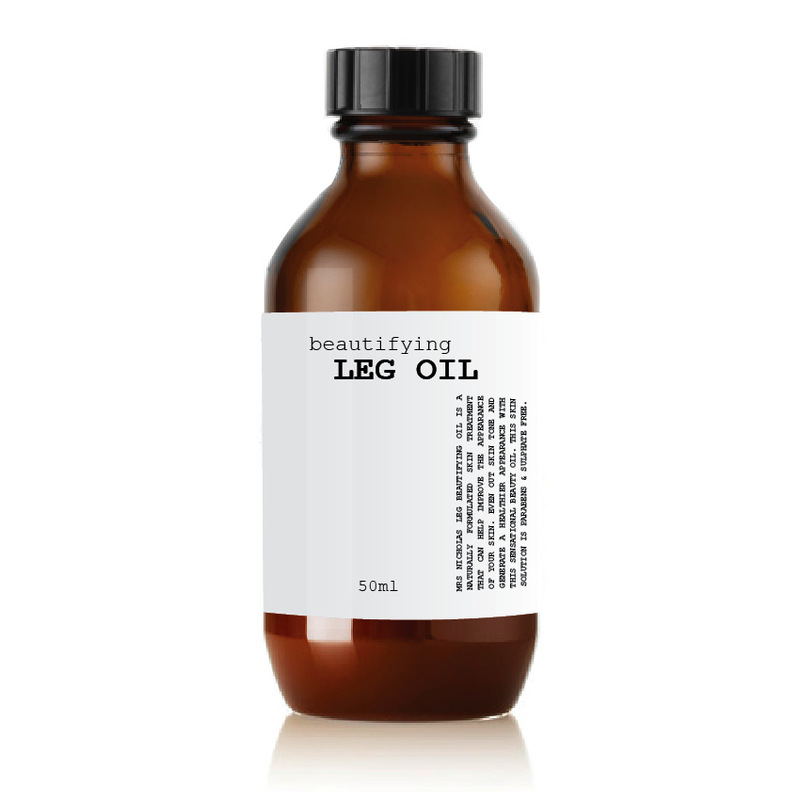 White Label Beautifying Leg Oil is exclusively available to purchase from Her Next Remedy.